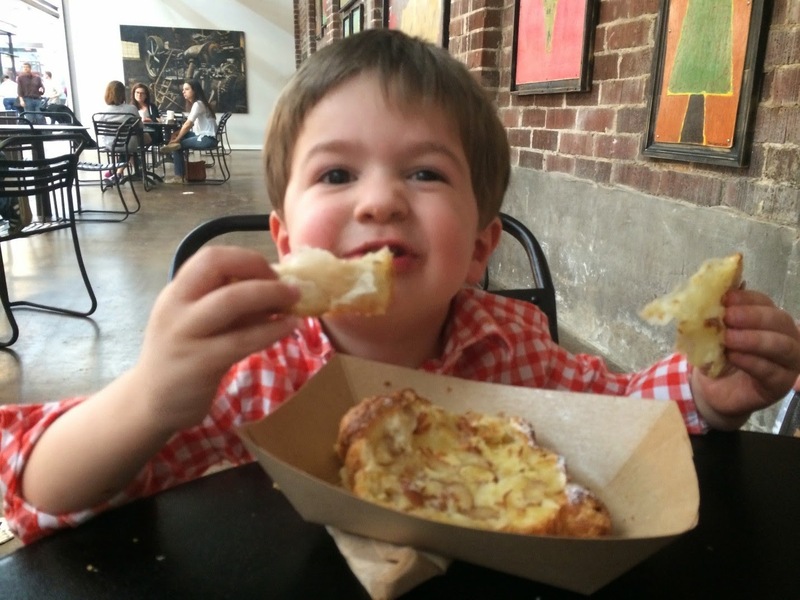 ToddlerFoodiesATL: The Toddler Foodies & Their Friends Swarm Krog Street Market! Krog Street Market is open for business, and it is the place to be for big foodies, little foodies, and everyone in between. We wanted to be able to provide our readers with a full picture of the yummy food offerings available at the market, so what did we do? 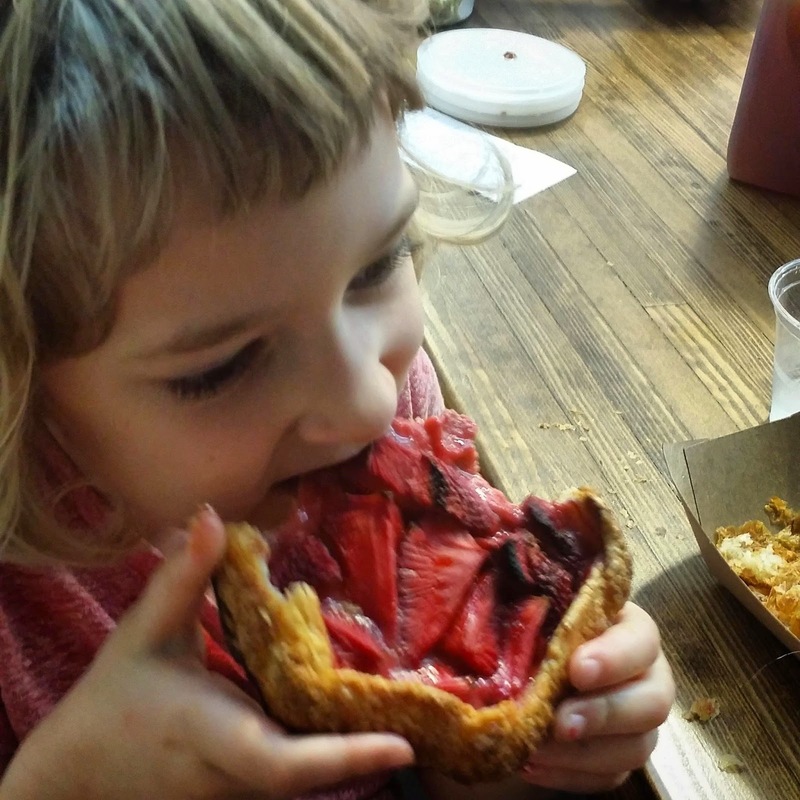 We enlisted the help of some of our toddler and junior foodie friends, and we all descended upon Krog Street Market like an army of very hungry caterpillars. You can find all our reviews and Gummy Bear ratings below. But, before you read on, please take a moment to view the list of businesses that participated in our #SupportATLBiz campaign by clicking here. Krog Street Market is a hub for ATL local businesses, so it's only fitting that we'd give our fav locals a shout-out in this post. Checking out the goods at Xocolatl & The Spotted Trotter Charcuterie. 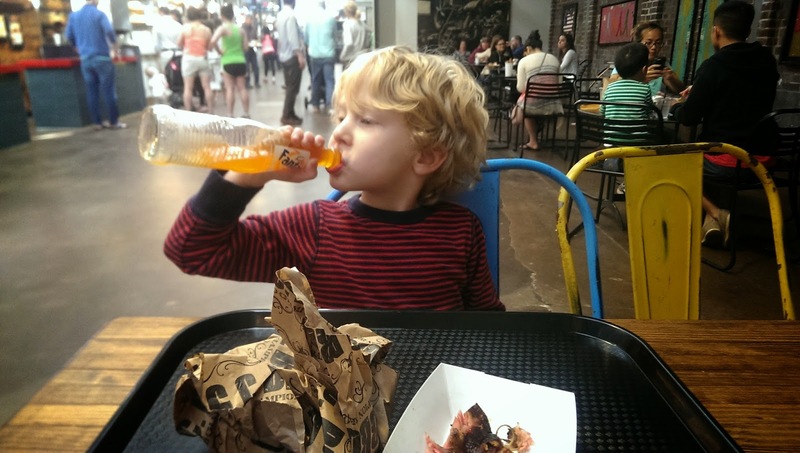 We love that it's all about the locals at Krog Street Market. Okay! Now that you've checked out our #supportatlbiz list, here's our comprehensive tour of Krog Street Market featuring some special guest bloggers. :) = Food was great. Service was fast. Krog Street Market is next door to the BeltLine for a great hunger-inducing/calorie-burning walk before or after the meal. :( = Got to get there early, or finding a seat for little ones might be tough. Bathroom had those frustrating "push" faucets and no stool for little people - Mommy had to hold Little Bro over the sink with one arm and push down on the handles with the other. so Grand Champion BBQ was the perfect fit! 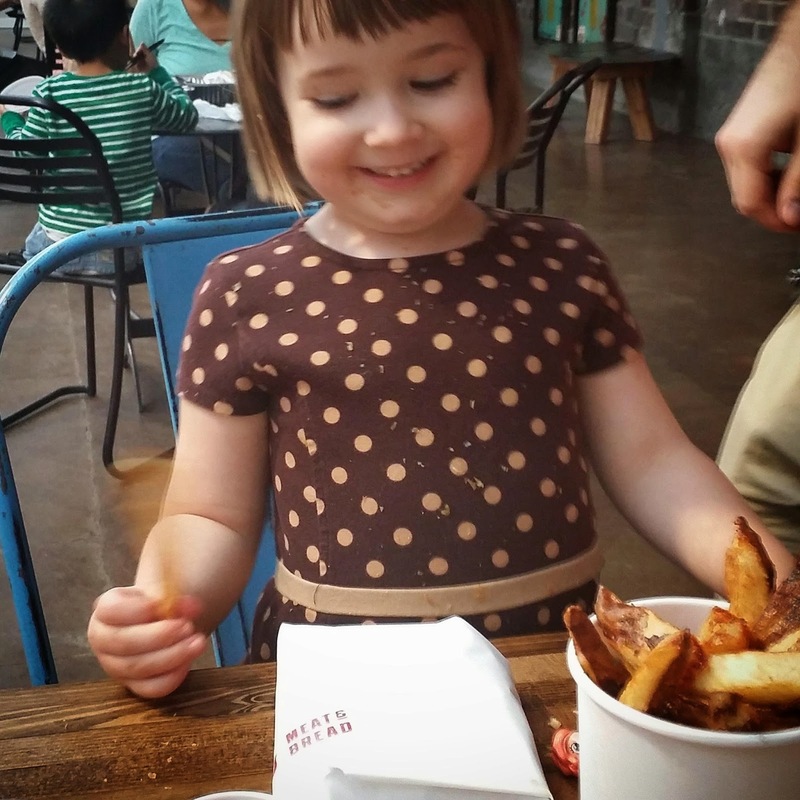 Even though we aren't toddlers anymore, we were thrilled to be invited to help review the Krog Street Market with our buddies the Toddler Foodies. Big Bro is almost 7 (next week!) and Little Bro is 4 1/2, and we do love to eat! "I'm a big fan of this Fanta!" The ribs were awesome! They came "dry," so we could add as much (or as little) sauce as we wanted. The sauces come in sealed, single-serving cups (sweet or spicy). The meat was delicious. Cooked just right and tender. We find ribs to be easy finger-food, and we love eating things off the bone. Little Bro annihilated the mac & cheese. Mommy only got one bite, so she can tell you that it was delightfully creamy with just the right amount of cheese. 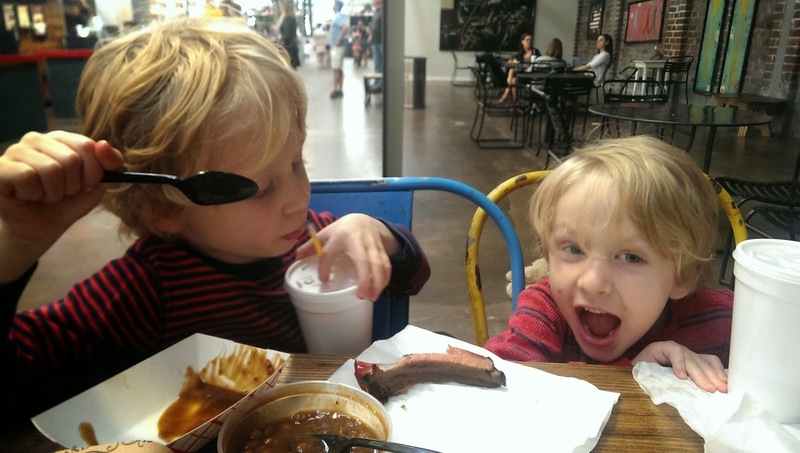 Big Bro was very excited about the baked beans which he declared his favorite - sweet, tangy and just a hint of pepper so Big Bro didn't think it was too spicy. Mommy ate the cole slaw on her own, because we are suspicious of shredded vegetables. She said it was nice and light - with just a little sweetness. By about 11:50 AM, the Market was really busy and filled with kids. There weren't any more tables left open that we could see, and people were having to wait in line for food. The lines didn't appear to be too long, though. Mommy made a smart decision to sit us right in front of Grand Champion BBQ - and right next door to Jeni's Splendid Ice Cream. Mommy was VERY excited to try Jeni's, so when they opened up at 12:00, she was first in line. We got a small bowl ($5), which holds two scoops, so we tried Salted Caramel and Pistachio Honey. "Mommy picked the money spot right next door to the yummy ice cream shop!" Mommy asked for three of the tiny tasting spoons, because they are so much fun, and it helped us eat slowly and enjoy our dessert. We argued a little about which was the best. 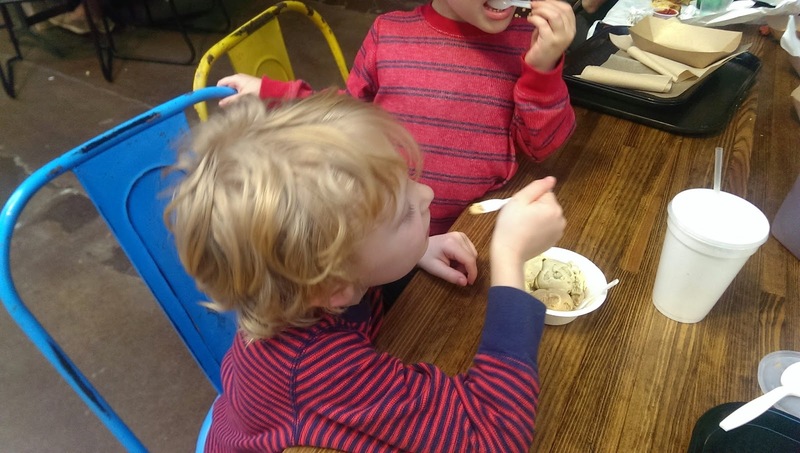 Little Bro claimed the Salted Caramel was best (dark brown sugar flavors), while Big Bro declared Pistachio was better (nutty, creamy and delicious). In the end, there was none left, and everyone was satisfied. "I hope I get to keep this spoon as a souvenir!" :) = Watching the magic happen. :( = Waiting 20 minutes for pastries, only to be told that they lost our order and had run out of Madeleine’s apple cinnamon buckle while we were waiting. Not cool. Stick to the Octane location in Grant Park for these tasty pastries. 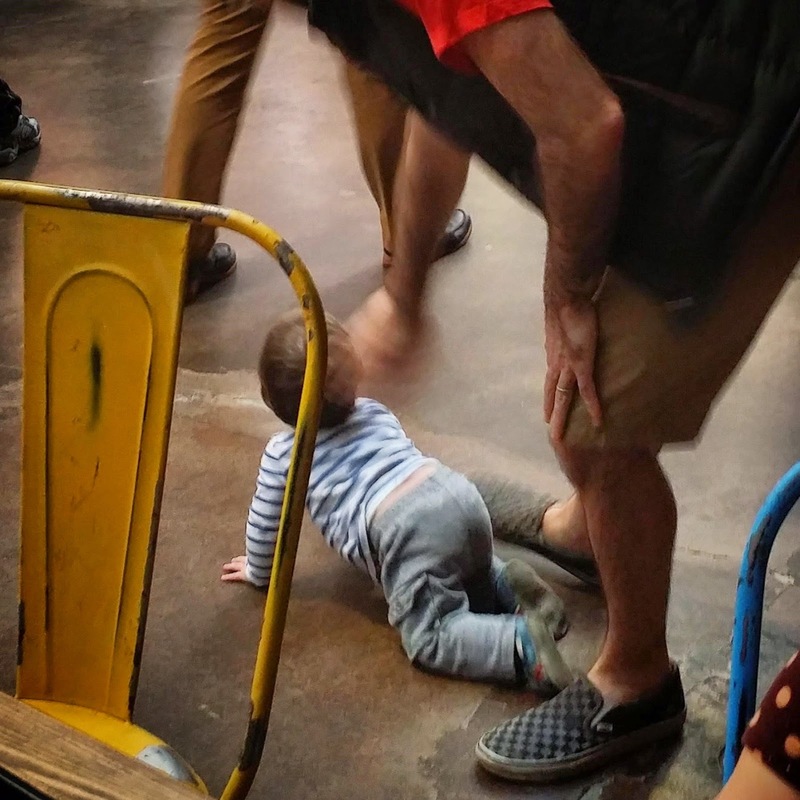 We were all keyed up to try Krog Street Market for (toddler) lunch at 11:00 am but then noticed that all of the lunch spots didn’t open until 11:30 am. Since our little bellies were growling, we tried to grab a pastry at the Little Tart Bake Shop. We love the Little Tart Bake Shop’s treats. We snack on their yummy pastries at the Grant Park Octane location while Mommy refuels on coffee before taking us to the zoo. We love that they use local fruits and dairies in their food. We’re particular fans of the blueberry buckles, which are a cross between a biscuit, a muffin, and a mound of blueberries. What’s not to love? 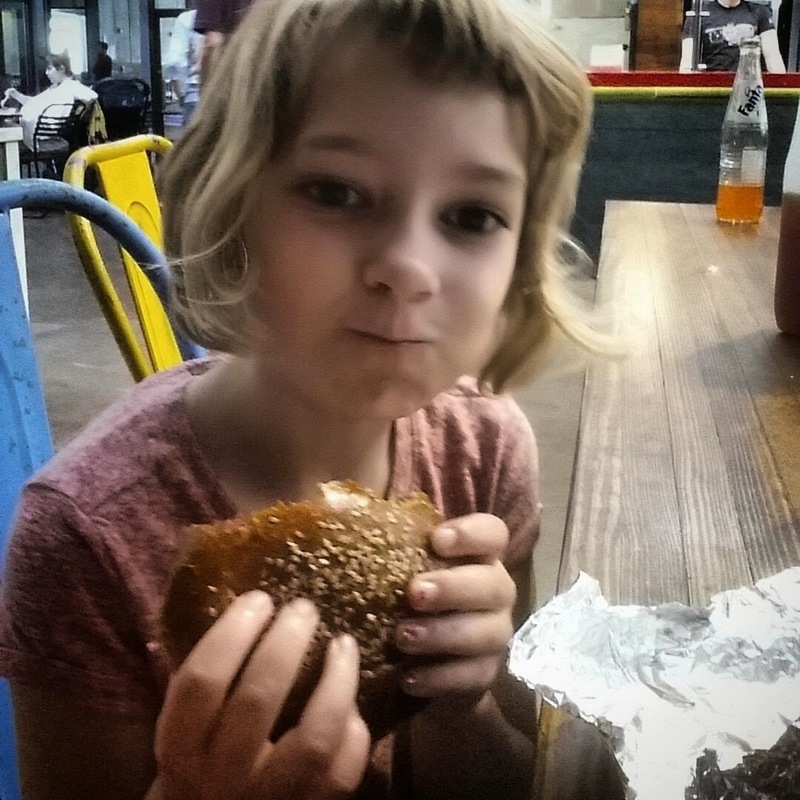 Today, since this was our first visit to the Krog St. location, we decided to order something different. Ryan picked out a beautiful almond croissant through the glass, but something unfortunate happened. It took forever to get our order. The cool thing about the Krog Street Market is that it is open and casual, so we were free to run around while we waited for our pastry and no one seemed to care how loud we were. But - our little tummies continued to growl as we waited for this yummy snack to arrive. After 20 minutes of waiting for our pastries, Mommy went to ask for an update. When Mommy asked where our food was, the staff said they had forgotten our order and had run out of the apple cinnamon buckle that Madeleine wanted to try. Not cool, man. Not cool. Fortunately, they gave Mommy a refund for the food we never saw, but we were some hungry kids after that. 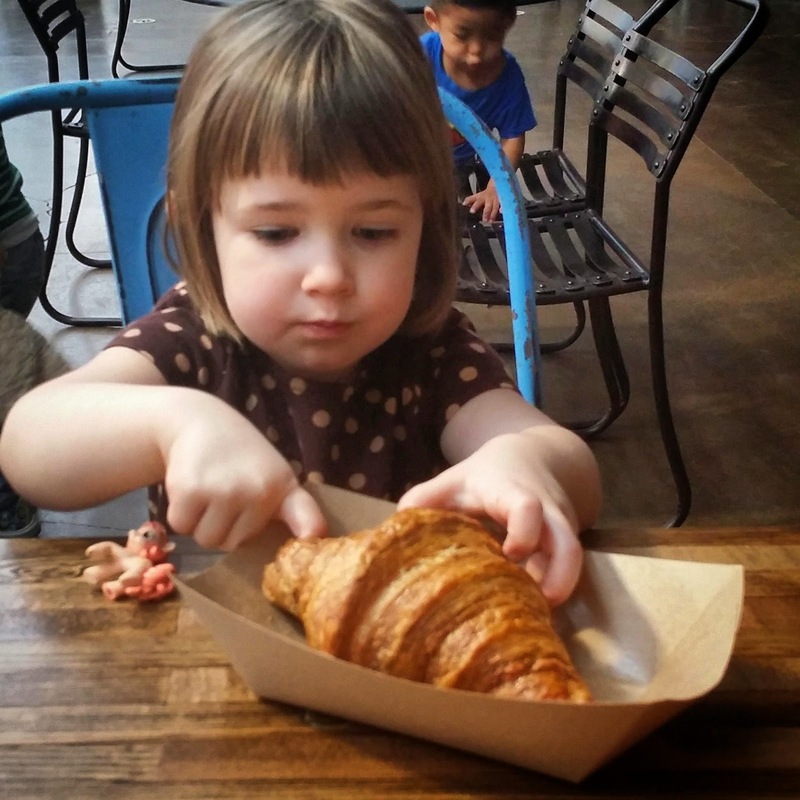 "Once we finally got this croissant, it was awesome! I love how it flakes apart in layers of buttery goodness." 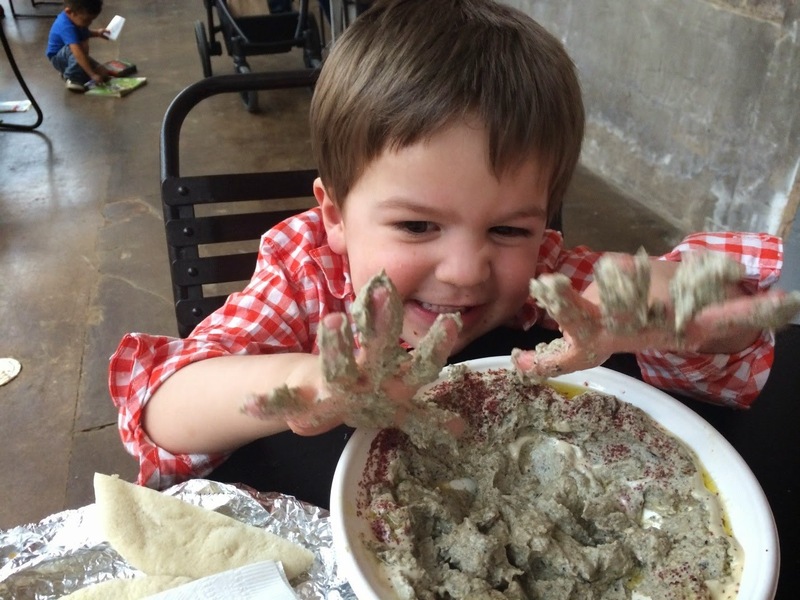 :) = Toddler-friendly dipping foods like baba ganoush with pita. :( = Beware: The falafel and tahini yogurt also comes with an Israeli Salad blend including big chunks of cucumbers. Toddlers who love yogurt may feel tricked by cucumbers we can see. Note: Don't come here grumpy-hungry because service can be slow. Yummy spread of colorful toppings. We LOVED this place. 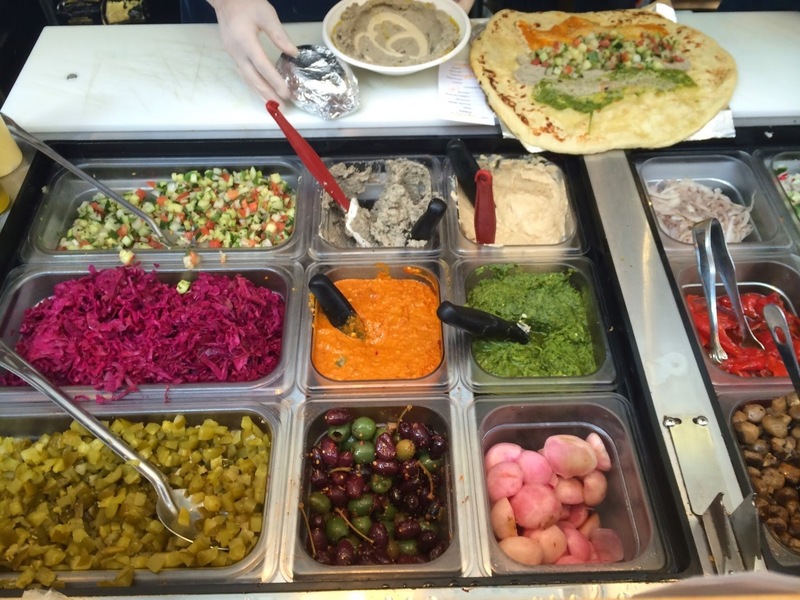 We ordered at the counter where we were able to select ingredients in array of beautiful colors and build our own pita or laffa wrap. We take a real hands on approach to eating. While the stuffed pitas and laffas (think a burrito made out of flatbread) were too big for tiny hands and mouths, the Mezze plates of hummus and baba ganoush (fire roasted eggplant dip) were perfect for us. They were served in huge bowls and came with deliciously soft pita bread. This wasn’t your average store-bought baba ganoush either. It was the real deal! "Look at the swirls of oil and spices in this fresh bowl of baba ghanoush!" "It looked so fresh, I just had to dig in!" "My staff knows what's needed to survive dining out with me!" Overall, we definitely loved Yalla. We - and especially Mommy - enjoyed the handmade Strawberry, Lemon, Clove, and Vanilla handmade soda. Mommy also loved her vegetarian-friendly laffa filled with falafel. We're not vegetarians, but it was fun to try a new type of "meatball." Our hummus faces definitely needed a nap after running around the market. 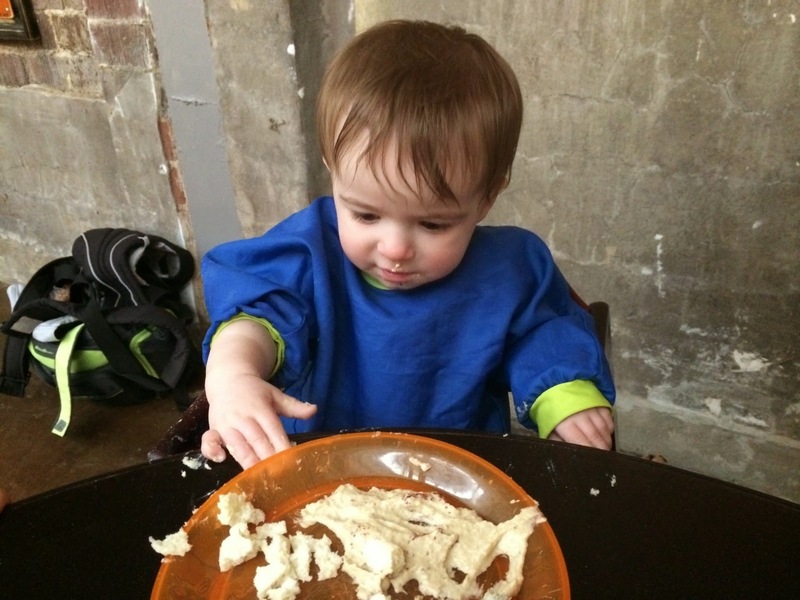 'Til next time, Toddler Foodies, keep eatin’! :( = We loved having the different options, but it made timing a little tough. Sometimes it makes life easier when someone just brings the food to the table. Also, the crowds were getting a little larger as we were leaving, and that would definitely make things less enjoyable for a big family to contend with. Tip: Get in early and try to be done before the rush really picks up. 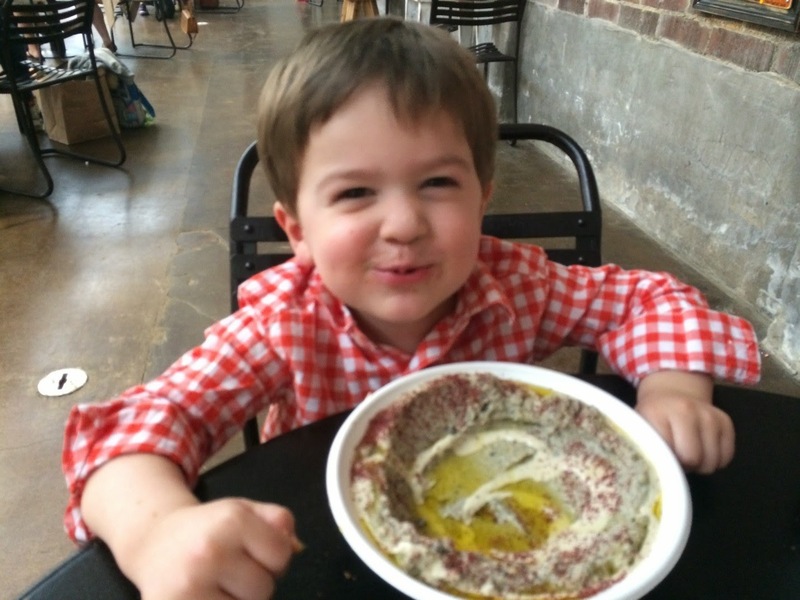 Hello Toddler Foodie ATL readers! 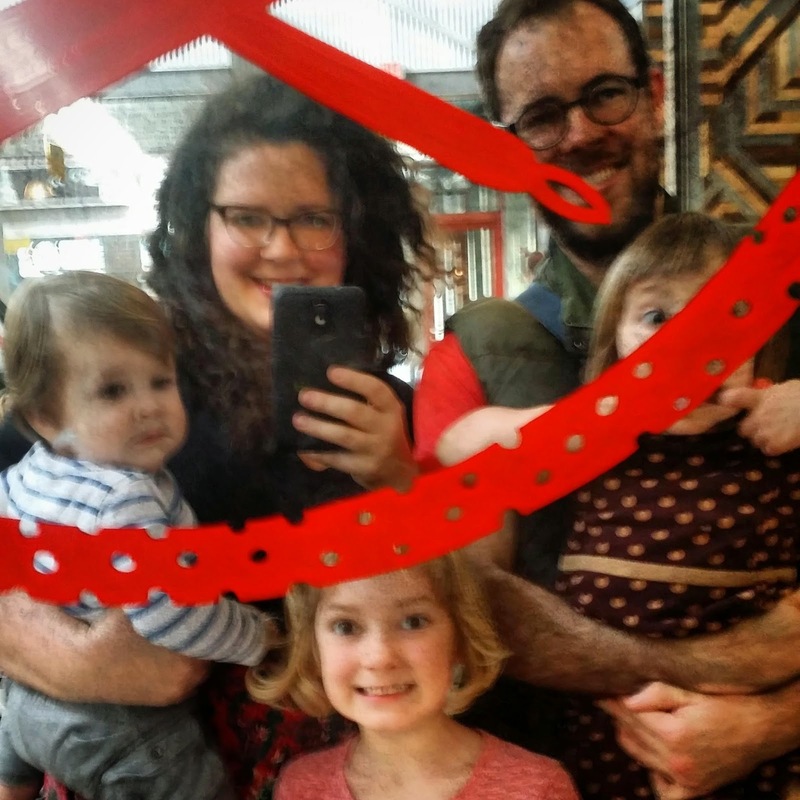 We are so excited to share our experience at Krog Street Market! We visited with our whole circus family, which consists of mom and dad, Roxanne (7 years old), Nadine (3 years old), and Porter (1 year old). We have varying degrees of dining etiquette. For the main course, Mom and Dad decided to play it safe for us and opted for Fred’s Meat and Bread. Roxanne’s cheeseburger was delicious. Nadine got the grilled cheese, and it did not disappoint. While sharing isn’t always a strong suit, even with all three of us kids snacking on them, one order of fries was plenty for the side. They were large and aaah-mazing. 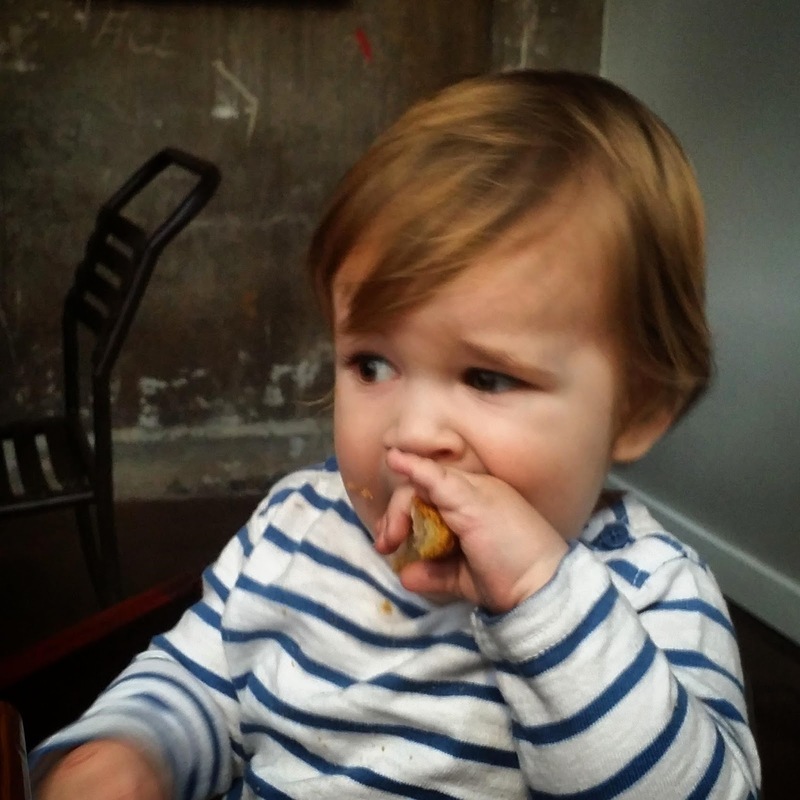 Even Baby Foodie Porter, who is often dubious about solid food being good for anything other than launching at your family members, liked the fries. We also split a glass bottle of soda as a special treat, and we felt pretty grown up and awesome. Probably the biggest hit was the ketchup. Exotic, right? But seriously, it was some super fresh and yummy stuff. "And they think I'm going to share these French fries? That's laughable!" "Don't hate on my classic cheeseburger! It's deee-licious!" "You guys, it's fine. I'm just heading to that chocolate shop we passed on the way in." 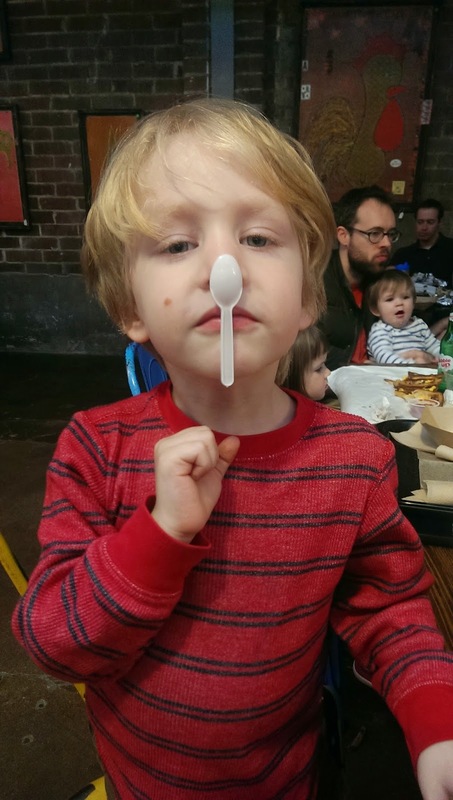 :) = Really friendly and accommodating staff (they let us take our food to-go so we could eat in the Krog Street food court with our little foodie friends). Spacious dining area with fun décor and lots of other kid diners. Large patio right in front of Krog Street Market that's perfect for people-watching. Yummy Mex-Tex food made with fresh ingredients. Variety of tasty cocktails and a huge bar for mommies and daddies. :( = The bathroom we used didn't have a changing table, but we're not sure about the rest of the bathrooms (there are private bathrooms, not stalls). Just watch out for all the knick-knacks in the bathroom that aren't bolted down (soap dispenser bowl holding paper towels, etc.). 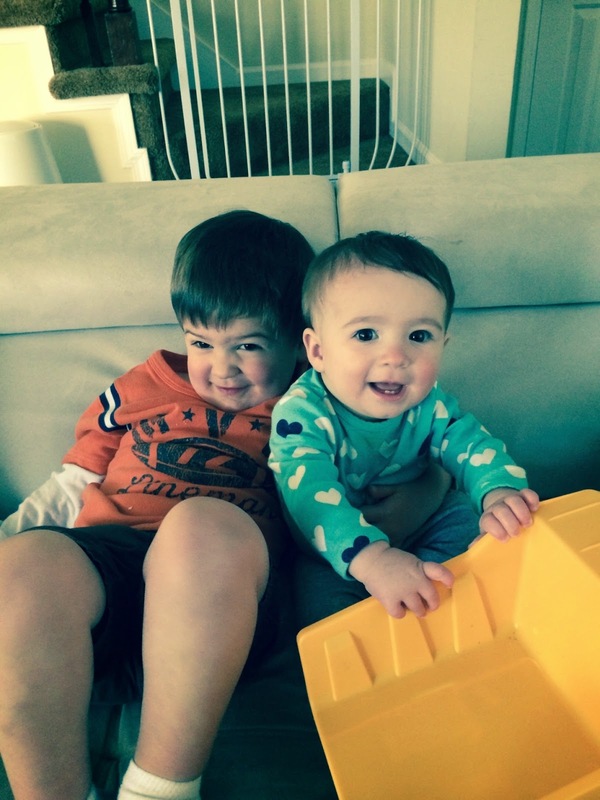 We really enjoyed trying to move those things around while Mommy was distracted. Note: Superica is going to start offering Mex-Tex brunch starting March 28. We saw the brunch menu, and it looks incredible. "Mommy said don't touch that cactus. But should we touch it anyway?" For our first taste of Krog Street Market, we tried out Superica, the new Mex-Tex spot owned by Chef Ford Fry whose restaurants The Optimist, JCT Kitchen & Bar, King + Duke, and No. 246 have become the gold standard for dining in the ATL. Since we got to the market a bit early, Superica was virtually empty when we arrived. Mommy decided to order food at the bar and take it to-go, so we could eat in the market's food court area with our little foodie friends. The bartenders, Eric and Bas, were totally cool with that. Score one Gummy Bear. Mommy ordered some authentic Mex-Tex for our lunch: tamales (mixture of ancho chile pork and escabeche covered with a corn-based batter, wrapped in a corn husk, and steamed, then topped with mole poblano); tacos al pastor (made with pork belly and grilled pineapple pico de gallo); and pozole verde (soup made with pork and hominy, topped with crispy pork rinds, cabbage, radishes, and queso fresco). Our meal came with freshly made tortilla chips and little containers of red and green salsa. This wasn't an easy meal to prep for carryout, but Superica's staff did it perfectly and with a great attitude. Top to bottom: Pozole verde, tamales, tacos al pastor. We really enjoyed everything we tried. The salsas we got with the chips were not too spicy and tasted like the ingredients in them had just been harvested that morning. The tacos were the perfect size for little foodie hands and had a delicious, sweet, tropical flavor thanks to the pineapple pico de gallo. The pozole was a tad bit oily, but it had delicious flavor and overflowed with huge chunks of pork and bits of hominy. Mommy loves pozole because it reminds her of some dishes from her home country - and we tend to love whatever Mommy loves. The tamales were our favorite dish because they were pretty much perfect - the filling was not too salty or spicy; the mole sauce was smoky, sweet, and slightly but not overly spicy; and the corn batter was moist and cooked just right. Sometimes if tamales aren't cooked right, they're kind of mushy and have to be eaten with a fork. We had no problems eating these tamales with our hands. "Holy mole, this tamale is fantastic!" After we ate all our food, Mommy and Daddy let us have a couple cones from Jeni's Splendid Ice Creams. We tried Pistachio & Honey and Brambleberry Crisp; Daddy and Mommy shared a cup of the Brown Butter Almond Brittle and Whiskey & Pecans. All four flavors were scrumptious, and there's no denying that Jeni's makes their ice cream with the finest, freshest ingredients. The staff was super nice, too. After enjoying our foodie date with our friends, we walked right outside to the BeltLine and hopped on our bikes to burn off all the calories and sugar we had just eaten. It was a beautiful, warm, sunny day; and the BeltLine was teeming with happy folks. We couldn't dream of a better way to end our fun outing at Krog Street Market. New shops and eateries are opening up in the market over the next few months, so we hope you'll head down there soon and #SupportATLBiz! Until next time, friends, we wish you a great week of eating adventures! "This is how we keep our figures in spite of our voracious appetites!"